Supreme Court has the chance to decide if a government can take shelter in outdated notions of ‘privilege’ when questioned over transparency. In the debate over the ‘secret’ Rafale deal documents, the Supreme Court has an opportunity to decide if a government can take shelter in outdated notions of ‘national security’ and ‘privilege’ when questioned over transparency. And, there are enough legal precedents to show that in matters of public interest, transparency trumps privilege. On 6 March, Attorney-General K.K. Venugopal, on behalf of the Narendra Modi government, claimed that the Rafale documents cited by the petitioners seeking review of the Supreme Court judgment in the Rafale case were ‘stolen’. The government even threatened to invoke the Official Secrets Act (OSA) against those who accessed the confidential documents. Having attracted widespread criticism for this claim, AG Venugopal then made a U-turn and claimed what he had actually meant earlier was that the documents were not stolen but that the original papers were photocopied. Having tied himself and the government in knots over the issue, the senior lawyer again tried to do some damage control by claiming ‘privilege’ over the documents since they were deemed ‘secret’ by the government. He argued that these cannot be produced in the court without obtaining prior permission of the department concerned. The court finally reserved its judgment – not on the review petition but on the preliminary objections raised by the government. Now, whatever be the view of the Supreme Court on the limited matter, the government may have achieved its purpose – of creating confusion on the issue. The Rafale case is just one example where the Narendra Modi government has obfuscated things. But in all this obfuscation, what seems to have been left out is transparency in public spending. And in this regard, specious arguments like the ones extended by the Attorney General in the Supreme Court can’t hold. 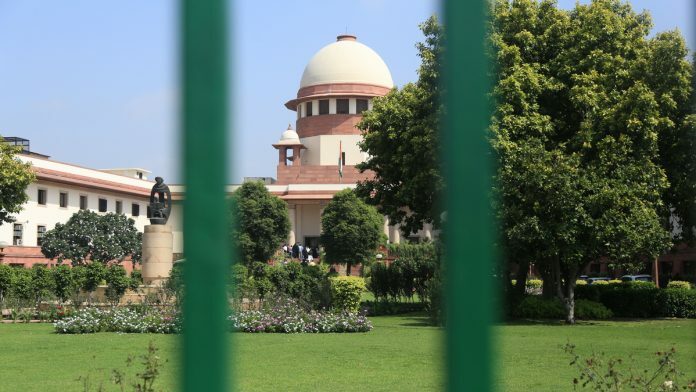 The Supreme Court while reserving its order on the government’s ‘privilege’ claim over the Rafale files observed that if the information asked for pertains to corruption, then the need for transparency scores over privilege. Incidentally, when the OSA clashes with the RTI, Section 8(2) of the RTI Act overrides it. Section 8(2) reads: “Notwithstanding anything in the Official Secrets Act, 1923 (19 of 1923) nor any of the exemptions permissible in accordance with sub‑section (1), a public authority may allow access to information, if public interest in disclosure outweighs the harm to the protected interests”. Even if Rafale documents were obtained through questionable means, the court could have still considered them ‘admissible’. In State (NCT of Delhi) versus Navjot Sandhu (Afsan Guru), better known as the Parliament attack case, the Supreme Court underlined that the law was settled a century ago – “even if evidence is illegally obtained, it is admissible” and “if evidence was admissible, it matters not how it was obtained”. In Umesh Kumar versus State of Andhra Pradesh, the Supreme Court held the settled law was that “even if a document is procured by improper or illegal means, there is no bar to its admissibility if it is relevant and its genuineness is proved”. “If the evidence is admissible, it does not matter how it has been obtained. However, as a matter of caution, the court in exercise of its discretion may disallow certain evidence in a criminal case if the strict rules of admissibility would operate unfairly against the accused. More so, the court must conclude that it is genuine and free from tampering or mutilation,” the court ruled. But, it is the 179th report of the Law Commission of India on Public Interest Disclosure Bill, which acutely shows why it is wrong to use obsolete arguments to divert the court’s attention from the main issue of transparency and public interest. The Law Commission drafted the bill at the request of then-chief vigilance commissioner (CVC) N. Vittal, who sought such a law to encourage honest people to come forward to “disclose corrupt practices on the part of public functionaries”. Vittal had also referred to the speech of then-Prime Minister Atal Bihari Vajpayee “condemning rampant corruption and highlighting the principle of Zero tolerance”. The report, prepared by former judges B.P. Jeevan Reddy and M. Jagannadha Rao, senior advocate N.M. Ghatate and law ministry official T.K. Viswanathan, referred to English and European courts’ stand on maintaining a “proper balance between freedom of expression and rights of the employer to expect loyalty and confidence from the employee”. In the Rafale case, there is a suspicion that an employee or employees ‘leaked’ the Rafale documents. The European and English courts have maintained that if an employee shares information in the bona fide belief that the employer’s actions “are detrimental to public interest”, s/he can’t be punished. In another case, a European court had ruled that the electorate has a right to be “sufficiently informed about irregularities or mal-administration”. The global standards on transparency, including in defence deals, is much higher today and India needs to keep up with it. On the Rafale deal too, the government should bat for transparency. Offering thin arguments over ‘privilege’ in the Supreme Court may only end up embarrassing the government. Well the equation doesn’t seem to be so straight-forward as it appears from the article. Else, the Apex Court would not have reserved its order. Three major issues to be considered: (1) The matter suffers from toxic politicization. Political considerations hugely override the legal merits or demerits of the case, more particularly when the general elections are just a step away. It is better that these issues are examined in relative peace when the storms of electioneering are over. (2) The author of the article has quoted a section 8(2) of RTI which says “a public authority may allow access to information, if public interest in disclosure outweighs the harm to the protected interests”. This is subject to many interpretations. How one is to define what is ‘public interest’ and who is to measure the extent of outweighing? (3) Third and the foremost – Yes, illegally obtained documents can be admissible as evidence. But in India, the law is not fully settled. The only criteria regarding the admissibility of evidence in the Indian court of law is “relevance” (Indian Evidence Act, Section 5, 1872). In a very famous legal article “Fruits of the Poisoned Tree: Should illegally obtained evidence be admissible?”, Talha Abdul Rahman enunciates at least four accepted principles on the basis of which improperly obtained evidence must not receive favour from courts. The four principles are reliability principle, disciplinary principle, protective principle and judicial integrity principle. Of which two are most relevant to the present case. “Disciplinary Principle” states that Judiciary should discourage the improper manners used for obtaining evidence. This will deter the prosecution or defendant from resorting to such manners for getting pieces of evidence. “Judiciary Integrity Principle” is based on the idea that to maintain respect for the administration of justice, the court should be careful while admitting illegally obtained evidence as by allowing such shreds of evidence; courts are promoting the improper methods of procuring evidence. To conclude, these so called secret documents just reflect a minority view, an opinion and in no way reflect any criminality. The vital questions in this regard are : “Where is the quid-pro-quo? Where is the money trail?” The said documents are silent on this aspect and fail the criteria of relevance. As such, in my own humble view is as under : The honourable supreme court may admit the documents in questions as legal evidence only and only if they have some relevance regarding quid-pro-quo or the money trail. Everything else is just an empty talk. Rafale story starts with UPA’s usual questionable Def acquisition process of inordinate delayed process due to vested interests.Modi was sharp to assess the situation and if he were genuinely honest he would have ensured to close the deal for HAL suitably intervening to remove the irritants.But instead he saw in UPA’s malafide intented delay opportunity to turn it to his advantage to help his friend AA.Then rest as they say is history. Privilege applies to Prashant Bhushan, not the apex court. It was officially given the relevant files and papers by MoD. If the additional documents are intrinsically linked to what it has oerused, provide a more complete picture, the Court may be pleased to make full use of them.